Features stepped head pipes 1-3/4” into 1-7/8". Features stepped head pipes 1-3/4” into 1-7/8". Oxgen sensor ports and plugs. Megaphone muffler housing. Heat shields included. Black Billet End Cap with contrasting flutes included. 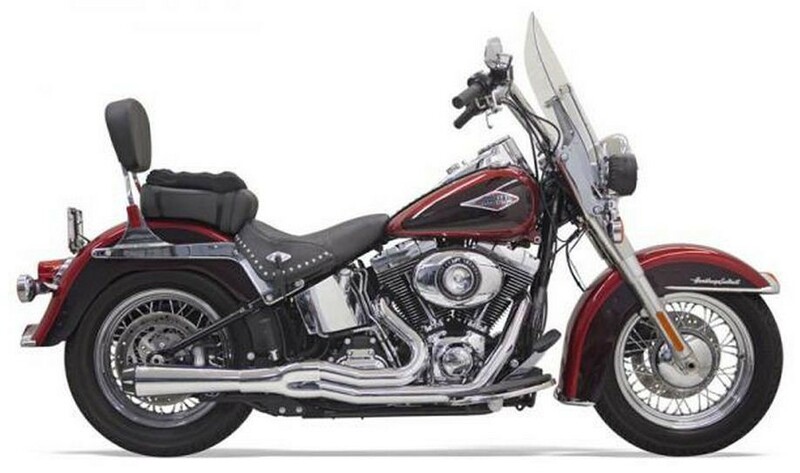 Fits ’86 – 2011 Softail, also fits 2012 Softail using Bushing Adapter.